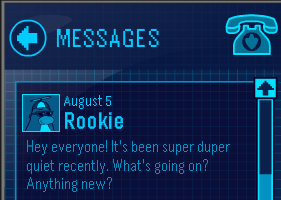 Yeah rookie, we kinda noticed that. And if G is reading, this give us a new field op, gettin' waaay too quiet. Waddle on mimo!